4) the loss of emotional experience of one’s spiritual foundation and false identification of self with transient values — that is, the loss of spiritual identity — is the loss of the ability to view oneself in a wider spiritual context than the current life. The situation is aggravated due to numerous social, political, ecological and cultural crises, the sources of which take root in the person’s oblivion of his own spiritual nature. The person has lost the knowledge of self as a spiritual being which results in external catastrophes/disasters and shocks, i.e., the person has lost his spiritual identity and identifies himself with false values. As this false selfidentification has gone too far, the rediscovery of one’s true identity and selfawareness as a spiritual being requires covering a special long path — the one that leads to the revival of spiritual self-identification. The path back to spiritual self-identification does not always pass through a conventional religious system. To the contrary, many search for a path outside the conventional religious systems, and they certainly have the right to pursue a path of spiritual revival and rebirth that is outside the conventional religious systems, if the traditions prove incapable of an adequate response to modern challenges. The mission of the Church of Scientology has a special importance for posttotalitarian countries. All the above-given barriers to spiritual revival in the modern world are multiplied in a post-totalitarian location. We should add to them an extremely important task, unknown to countries with advanced democratic institutions — that of rebuilding civil society institutions which were completely destroyed in the period of totalitarian regimes. What is meant here are institutions of community and local self-management and the necessity to train the population in community-building skills. And it is here that the experience of the Church of Scientology in building a community, and its technologies of spiritual training, can and already do play a significant role in creating a new spiritual foundation in places with non-totalitarian governments. Scientology addresses the person who is ready to execute the search for his true spiritual nature on his own strength. Scientology gives clear promises and the criteria for fulfillment of these promises. It is especially important for people compelled to trust only in themselves and their own strength and who simultaneously search for a spiritual basis and justification of personal sovereignty and independence in a spiritual sphere. There are many such people in all social and professional strata of modern Russia. So what are the reasons of intrinsic, religious/ spiritual nature, which make the image of Scientology attractive for independently thinking, active and distrustful persons in the post-totalitarian era? For this purpose it is necessary to comprehend some of the fundamental features of Scientology as a doctrine and as a church organisation as well as its value for people who did not find answers in the traditional church. Although not all members of Scientology (which becomes evident from the discussions and numerous interviews that I have had) believe there is a special theological system in Scientology, there nevertheless exist at least two fundamental formal attributes which point to the existence of a theological system. First, it is the role of the charismatic leader in the establishment of the church, and secondly, it is the existence of a well-developed religious doctrine and holy knowledge with an esoteric and an exoteric component. The work of the founder, L. Ron Hubbard, is the basis for the dogma and organisation of Scientology. Hubbard’s work is the authoritative text which is always addressed and which is constantly studied. Through the internal self-determination of the church, the texts of Hubbard have the role of scripture — the holy text. The charismatic leader is thus the author of the main text. The second reason for seeing in Hubbard the charismatic leader is the belief of members of the church that Hubbard was the first person who found and traveled the path to true spiritual identity. All that remains to be done by those near or far is to follow Hubbard’s path and relive Hubbard’s experience, which is within anyone’s reach. It is important to emphasise a basic difference between the charismatic founder of the movement and his followers. For Hubbard, the path was opened as a result of his own charisma. For the followers, it requires in-depth study with the guidance of the scriptures. The purpose of the scriptures is to reach a spiritual identity, and to change one’s self-consciousness. It should be emphasised that the process of achieving new levels of self-consciousness was authored and regulated in detail by Hubbard. We find it is important to emphasise that detailed regulation and authorisation of procedures is an important way of preventing any schism. The door for any possibility of new interpretations of the authoritative texts is closed in an extremely simple but effective way. It is supposed that the full truth was found in Hubbard’s personal experience. And this personal experience is connected with the technology of achievement of a true spiritual identity. Unlike Hubbard’s one-time, unique experience (which serves as a form), the experience of others in content is the technology for changing one’s level of self-identification. The content of Hubbard’s experience (in a sense of technology) is in essence of a universal and repeatable nature. The purpose of the mission of the Church of Scientology is to grant each person who has felt an internal necessity to achieve spiritual identity an opportunity to go down the path which was opened by Hubbard. What are the main features of the charismatic leader of the Scientology movement which provide the basis on which to consider him a religious leader? First, the founder of the movement has discovered spiritual essences, spiritual knowledge which concerns every person. Second, with the help of this knowledge, the founder has developed a way for personal salvation. Third, the knowledge given to the leader was complete and any additions are impossible: any additions only deform the knowledge and transform it into harmful knowledge. From this emanates the necessity for special supervision to make sure the instructions of the founder are followed. Fourth, the contiguity with personal experience and the personality of the founder, which is present in texts and video recordings, transforms the internal world of the follower, transforms the identity of the follower, and results in a stable realisation of one’s own self as a spiritual and immortal source. Fifth, the founder of the movement cannot be replaced by any other person. That is why even very high spiritual achievement of a member of the Church of Scientology cannot result in a claim of founder status to assume a new version of doctrine; hence, no one can claim to assume the authority and power of the founder. Sixth, on the basis of the spiritual message authored by the founder, a religious order is established in which the place of the member of the hierarchy depends exclusively on his/her spiritual achievement and on the permanency of spiritual practice in the order. Seventh, the service in the Church of Scientology is built upon the texts of the founder and testimonials of those members whose lives have been assisted by the church and the works of the founder. Thus, the founder of the movement, the charismatic leader, comes as a saviour to the followers; the charismatic leader offers full individual and spiritual self-realisation. In other words, the leader, the founder of Scientology is the founder of the religious doctrine and religious movement. Several fundamental Scientology themes lead us to consider Scientology doctrine as religious. First of all, spiritual and eternal essence is the concept with which a person should identify himself. The next theme is history or a single event (a catastrophe) which caused man to forget his true nature, i.e., the theme of slavery of the true eternal self either by nature or through deliberate evil forces, which is classical for a religious doctrine. Matter, energy, space and time are created by the powerful and eternal self who has lost the awareness of his omnipotence and falls under the control of his own creations. Some testimonies suggest that the oblivion of self is the result of the activity and creativity by the eternal self. Other testimonies (more obscure) describe it as a result of personal evil will which caused a catastrophe in a major part of the inhabited universe. In any case, be it absence of evil will or presence of an evil creator, we see the classical theme of religious ontology, with the theme of fall and oblivion of one’s former spiritual power as well as oblivion of the catastrophe itself. Knowledge about one’s own infinite past, about events that happened to an individual during his numerous earlier existences, is not just knowledge. It is holy knowledge which gives back to the person an understanding of his true place in the cosmos and permits him during the process of attempting to comprehend his former disasters — down to the main catastrophe of cosmic importance — to revive the true knowledge about himself. Thus, the knowledge acquired in Scientology through long-term study and awareness of one’s own history is liberating knowledge that brings salvation. The parallels shown above, without diminishing the uniqueness of the spiritual contribution of Scientology into the world treasury of spiritual experience, help us be certain of, first of all, the religious foundation of Scientology, and secondly, the spiritual potential of Scientology not only as a religious movement but as a religious order. The latter is especially important because the appearance of orders is possible as a result of resolving either organisational issues or issues of a religious and educational nature. The religious order as a way of solving purely organisational problems — as the history of religious movements shows — is short-lived, whereas orders formed around a well-developed spiritual education technology prove to be enduring. The Jesuit order can be used as an example, brought about around “the practice of spiritual exercises” by the founder of the order, Ignatius of Loyola. The ability of the order to solve numerous practical problems is the consequence of the spiritual, religious practice. The basis of stability of the Jesuit order is the correct adherence to the technology of “spiritual exercises”. Similarly, the core of the order of the Church of Scientology has stability due to the special spiritual technology of finding the true self which is the center of the religious dogma and holy knowledge. Therefore the problem of preservation of holy knowledge is a major element of the Church of Scientology. Esoteric knowledge in religious systems is possible in two forms. The first form assumes special methods and script of concealment, coding. It is supposed that the disclosure of hidden knowledge, accessibility of it to all who so wish, transforms hidden knowledge into profane, or secular, knowledge which loses its holy power and power to transform. The second form of esoteric knowledge assumes the principle of openness and availability. However, the unique structure of knowledge is such that if the pupil has not mastered the previous stages, he cannot understand the next level. In other words, esoteric knowledge arises from a situation where it is necessary first to pass all levels of a detailed chain of personal achievement. Each step contains in itself miniature versions of all the others. Thus, esoteric knowledge develops not from a desire to code and hide knowledge, but from the simple circumstance that one pos- sessing the highest level of knowledge cannot, even if he wishes to do so, relay this knowledge to a person who has not yet passed all the requisite stages of internal transformations and changes of consciousness. The only thing that the owner of the highest knowledge can do is to get the pupil through all the prerequisite stages. Esoteric knowledge of Scientology is of the latter type. When we see the mark “confidential” on some stages of the Scientology knowledge, it means that this concerns knowledge which can only be relayed to a person who has passed all the preceding levels. Scientology is an open religious system in essence. Each person who has felt the internal necessity to accept the path and spiritual message of Scientology can count on attention and support. And the work with truth seekers will be conducted as the reply to his own searches of spiritual identity. However, it is necessary to remember that at the center of spirituality of Scientology lies, first and foremost, one’s own personal experience of realisation of a spiritual identity, a new spiritual infinite self. Therefore, the “story”, the “narration” about this experience is possible only to a very small extent, not because the spiritual instructors hide this experience, but because the essence of this experience is such that it cannot be verbalised or conveyed. Certainly in Scientology there is a genre of “testimonies” about one’s personal path and the transformation experienced by an individual when he reaches, for example, a higher level of awareness of the eternal self. However, it is exactly what it is called — a “testimony” (a very important and necessary genre), and not the holy knowledge. When you read and listen to these testimonies, you realise with particular clarity that the witness is trying very hard indeed to describe his experience, to share his knowledge, but is not able to do so. Hence, the requirement of accurate preservation and precise reproduction of the technology of Scientology and the constantly heard requirement not to go on to the next stage of learning until the preceding material is mastered down to the last detail. In this, great attention is given to the procedure of clarifying the meaning of individual words. This level of attention to the procedures of clarifying the meaning of words also relates Scientology to the great religious traditions and allows Scientology knowledge to be considered holy knowledge. It can be considered that the procedure of clarifying the meaning of words and obtaining holy knowledge is part of the main objective of Scientology: bringing clarity into and accepting and understanding the true spiritual nature of the infinite self. II.II. PROCEDURES FOR INITIATION INTO KNOWLEDGE AS A TECHNOLOGY OF ACHIEVEMENT OF THE HIGHEST LEVELS OF CONSCIOUSNESS. The requirement for constant clarity of consciousness and self-consciousness (shaking off the dream of daily routine), and formal rationality, which is organised in such a manner that without completing and gaining a clear understanding of the lower stages one cannot go on to the higher stages of awareness of one’s true self, results first in a hierarchical structure of knowledge and second in procedures of initiation into knowledge. In the culture of religious education where a change of consciousness and self-consciousness for the student is expected, but where the transmission of this new self-consciousness is impossible, the initiation procedure becomes absolutely essential in the culture of religious education. From this stems yet another important feature of Scientology as a holy culture: Hubbard’s texts — the Scientological scriptures of the church — are the means of transformation of the student’s consciousness and self-consciousness. It is this particular aspect that characterises the axiomatic element of Hubbard’s texts. These are classical short texts, which are intended for long reflection during which a change of understanding of the student’s inner self occurs — that is, through repeated attempts to comprehend the scriptures (Hubbard’s texts) to gain a deeper understanding of oneself and one’s true self. Scientology offers the opportunity for group, twin and single (solo) practice of contemplation. 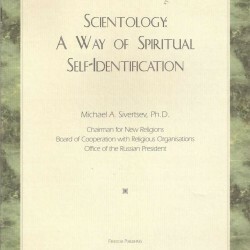 This practice also relates Scientology with other religious and, more specifically, orderly structures where the experience of reflection over holy texts is not an experience of receiving new information, but an experience of changing oneself (for the parishioner), or an experience of purifying oneself (for the instructor), which should restore clarity of consciousness and self-consciousness after hard work. Thus, when we say that knowledge and self-consciousness cannot be transmitted, we speak about the necessity of a procedure which helps the student reach this knowledge (that of discovering oneself). It means that a formally developed system of transitions from one level of holy knowledge to another is necessary. With the help of the teacher (or independently at some stages), the student passes all stages from pre-Clear (a person who, through Scientology processing, or spiritual counseling, is finding out more about himself and life) up to the highest level, Operating Thetan. Taking into account the above features of esoteric knowledge inherent in Scientology (in particular, hierarchy, strictness and the impossibility of skipping a stage) Scientology then has developed a rather impressive system of a spiritual path which is also an indicator of a stable and promising spiritual culture. A religious movement, even when it reaches the stage of an organised church, does not always possess an extensive system of doctrine. The existence of a system of doctrine is an indicator of the maturity of a religious movement and consequently, it takes form over a rather long time. Nevertheless, Scientology, as it was already observed in the history of religious movements, quite rapidly formed a creed and a system of spiritual training. The reason for this fast achievement of spiritual and organisational maturity is in the well-developed, formalised and detailed system of levels of spiritual transformation and spiritual identity. This system can be remotely compared to systems of spiritual enlightenment and purification that were the central concern of many orders which purified and saved certain traditional churches. Theological systems can be subdivided into two types: catafatic and apofatic. Catafatic is a system that assumes the possibility (or ability) of expressing the highest religious experience in words. Apofatic considers the highest knowledge and highest values to be inexpressible. Therefore the catafatic system creates detailed and extensive descriptions of a godly being and a godly structure of the visible and invisible world. The apofatic system does not give any descriptions of the Supreme Being because it is impossible from the point of view of this system. However, apofatic theology gives a system of rising to the highest knowledge which is achieved at the fulfillment of the formal instructions from the teacher. Certainly Scientology includes both kinds of theological systems, but the apofatic theology dominates. Therefore, Scientology is characterised not so much by the description of the new states of self as by the description of the strategy for reaching higher states. The Bridge to Total Freedom is a metaphor for the path of spiritual transformation. This path exists in the majority of religious cultures and theological systems. However, it is primarily orders that put at the center of the theological system the path of spiritual purification viewed as a formal sequence of states of selfconsciousness organised as a hierarchy. Strictly speaking, this hierarchical system — the Bridge to Total Freedom — is the message with which the Church of Scientology addresses the world and followers. Inside this message are fundamental themes which form the structure of the Bridge. All the main theological concepts (about the Absolute, status of man, concept of salvation), the mission of the clergy and the organisational structure of the Church of Scientology follow from the structure of the Bridge, which is understood as a path of personal tranformation and personal understanding of one’s universal role. The structure of the spiritual message develops from a complex of themes. The message is directed personally to each individual, and at each formally marked stage of the path — the Bridge — the themes of the message find a new depth and completeness. The second feature of the theme of fall-awareness-liberation is its heroic image in the Scientology message. The heroic theme means that the search for the new powerful and eternal self is first of all a result of personal efforts of the one following the path — crossing the Bridge. Originally and fundamentally, man is basically good — this is one of the basic tenets of the Scientology creed. It should be emphasised for the sake of comparison that this clearly expressed position is directly opposite to the Christian message which insists on damage and sinfulness in the nature of man from the beginning and on the impossibility of correction by human efforts. (We recall the formula: As it is impossible for the leopard to change its spots, and it is impossible for a bent tree to become straight, then it is impossible through any personal efforts to get rid of original sin and perverted nature.) Looking at man as a hero — the belief that man is originally good and can with the help of his own efforts and human help from teachers and special practice return to his original condition of power — was, in Christianity, always considered to be paganism. Without entering into a detailed discussion of the differences between the Christian message and that of Scientology, attention should, however, be given to this specific divergence as one of the sources of difficulties of dissemination of the Scientology message in cultures where Christianity already prevails. For Scientology, as for any strong religious culture and as for any religious order, the sermon is an important element of the religious service. However, we do not find in Scientology the proselytism which is characteristic of many traditional religions. On the contrary, Scientology is one of the few religions which permits followers to practice another religion. Scientology is, however, a complete religion and its members practice Scientology to the exclusion of any other faith. Some retain membership in another religion primarily for familial, social or cultural reasons. This is the reason confession — testimony of one’s personal experience — is characteristic of a Scientology service when it addresses the external world, coupled with constant emphasis on the rational aspects on the personal experience. Understanding the Absolute is at the centre of many theological systems. To discuss this subject, not only the written word must be relied upon but also spoken testimonies. Examining some of the features of the Scientology concept of the Absolute, we compare them to the firm notions of the Absolute which take shape in other theological systems. The higher existence, or Absolute, is impersonal in nature, a condition of the existence of both the personal spiritual being and of those creations which emerge as a result of the creative game played by the omnipotent and eternal self. Although this problem is not raised in its general form and as such is of no interest for spiritual practice, it should be recognised with high probability that the relations between creator and the created world (composed of Matter, Energy, Space and Time, which forms the acronym MEST) are interrupted; i.e., between them there does not exist a gradual continuous transition. As for the Absolute (to the degree this abstract, from the practical angle, issue is of interest) it is viewed as an immanent essence, which can be achieved by the Spiritual Being and is the result which awaits any person who walks the personal path on the Bridge to Total Freedom. Revelation is given in Scientology once and completely by the personality, life and texts of L. Ron Hubbard. Therefore, the task of the members of the church is to study and apply the message of Hubbard. Here is the basis for the continual references to statements and texts of Hubbard. The function and the role of the Hubbard texts in the sermon, in the service and the daily practice of the ministers and attendants of the church is the role of Revelation. For Scientology, the non-verbal understanding of the Absolute is typical, for the apofatic theology. The apofatic understanding of the Absolute is connected with the formal practical character of the Scientology spiritual tradition which lays out how to attain it rather than describing it. The journey to higher states of consciousness — which is austere in form — is unique to the apofatic theology. Typical for the apofatic theology is the presumption of the basic impossibility of describing in words the higher states of consciousness. Moreover, it is supposed that words only distort the experience of the Absolute. Scientology is a classical example of an apofatic religious system. EDUCATION: Ph.D. in Economics (1973). Economist on Typology of Employment Statistics, Institute of International Labour Movement, Academy of Sciences 1970–1973. Graduate School, Institute of International Labour Movement. 1959–1965, Undergraduate Student, Moscow Aviation Institute of Economics. PROFESSIONAL EXPERIENCE: 1965–1969, Junior Fellow, Department of Philosophy, Institute of National Economy Plenkhanov. 1973–1976, Fellow, Institute of International Labour Movement, Academy of Sciences of the USSR. 1976 – present, Senior Fellow, Institute of the USA and Canada, Russian Academy of Sciences. AREA OF SPECIALISATION: Political Sociology with emphasis on inter-ethnic and inter-confessional interaction, political leadership typology, history and theory of culture. RESEARCH PROJECTS: 1990–present, The Problems of Ethnic-Confessional Identity, Institute of USA and Canada, Academy of Sciences. 1985–1990, Political Leadership Models, Institute of USA and Canada. 1980–1985, Historic-Scientific Problems of Humanitarian Knowledge, Institute of USA and Canada. 1976–1980, Mathematical Models of Social Processes, Institute of USA and Canada. 1969–1976, Comparative Analyses of Employment Statistics, Institute of International Labour Movement. FIELD RESEARCH PROJECTS: 1991 and 1992 Program “The Portrait of the Oriental Village” Daghestan. 1989 Program on Longevity, Abkhazia. TEACHING, LECTURING: 1991–present, Associate Professor of Sociology of Religion at Russian State Humanitarian University, Moscow. 1992–present, Professor of Politics of Jewish Diaspora at Moscow Jewish University. PUBLICATIONS/BOOKS: Typology of Interdependency of the US and Developing Countries, 1988. The Problems of Employment Statistics Typology , 1975. RECENT ARTICLES: “Russian Political Culture and the Prospects of Multi-Party System” in USA: Economics, Politics, Ideology 1993, No.1. “Political Movements and Parties: Origins and Prospects” in USA: Economics, Politics, Ideology, 1993, No.2. “Charismatic Leadership: The Problems of Political Leadership”, 1993. “Daghestan Interviews” with co-author E. Rashkowski in Russia and the Moslem World, 1993, No. 1. “The Effect of Traditional Cultural Discourse on the Formation of a Polycentric Image of the Fundamental Science” in Orient in Theories and Hypothesis, 1992. “Islam in Daghestan” in Russia and the Moslem World, 1992, No.6. “The Fates of Culture in the Religious Philosophy of Paul Tillich” in The Christian, 1991, No. 3–4. PARTICIPATION IN INTERNATIONAL CONFERENCES: “Xenophobia, Racism, Anti-Semitism”, Moscow, 1993. “Judaic-Christian Dialogue”, Eizenakh, Germany, 1992. “The European Thinking and the European Idea”, Aalborg, Denmark, 1991. 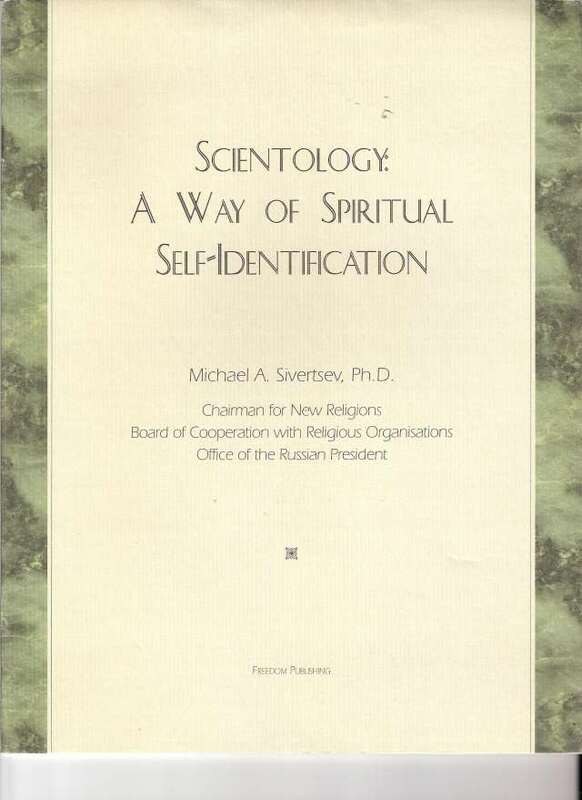 PUBLIC SERVICE: 1990–1993, Chairman, Moscow Partnership on Spiritual Dialogue; 1995, Appointed Chairman for New Religions of the Board of Cooperation with Religious Organisations of the Office of the Russian President.